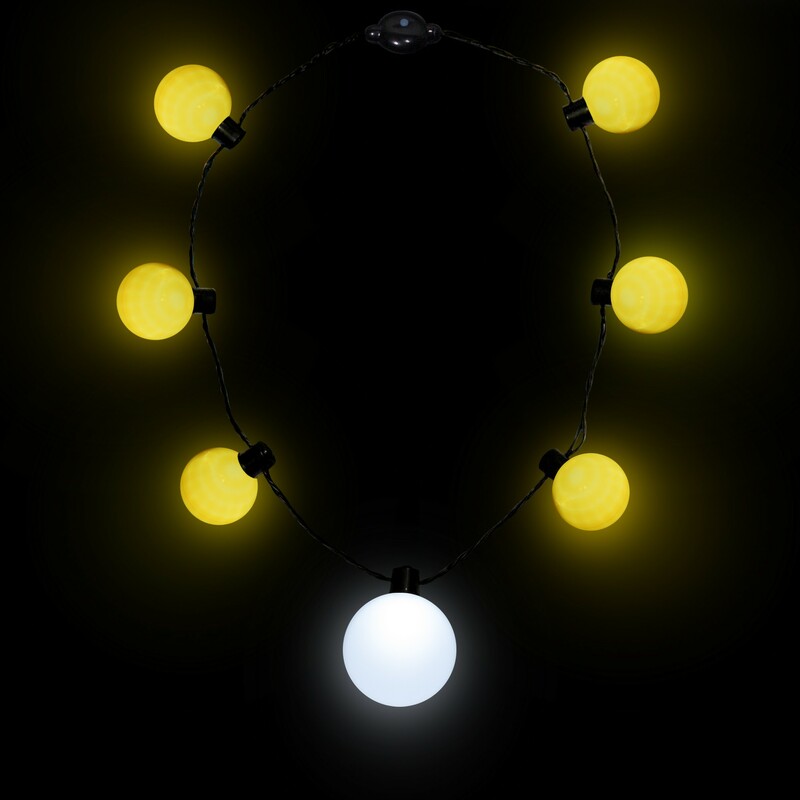 Our unique and new LED Ball Necklace is an awesome show piece, a true head turner and features a great imprint area on a large white #D plastic medallion. 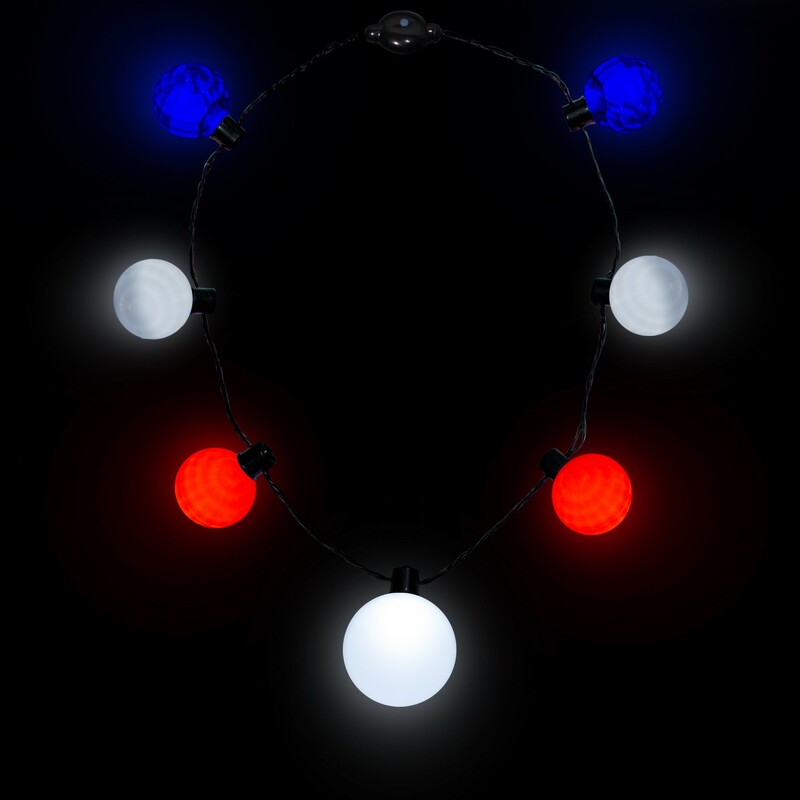 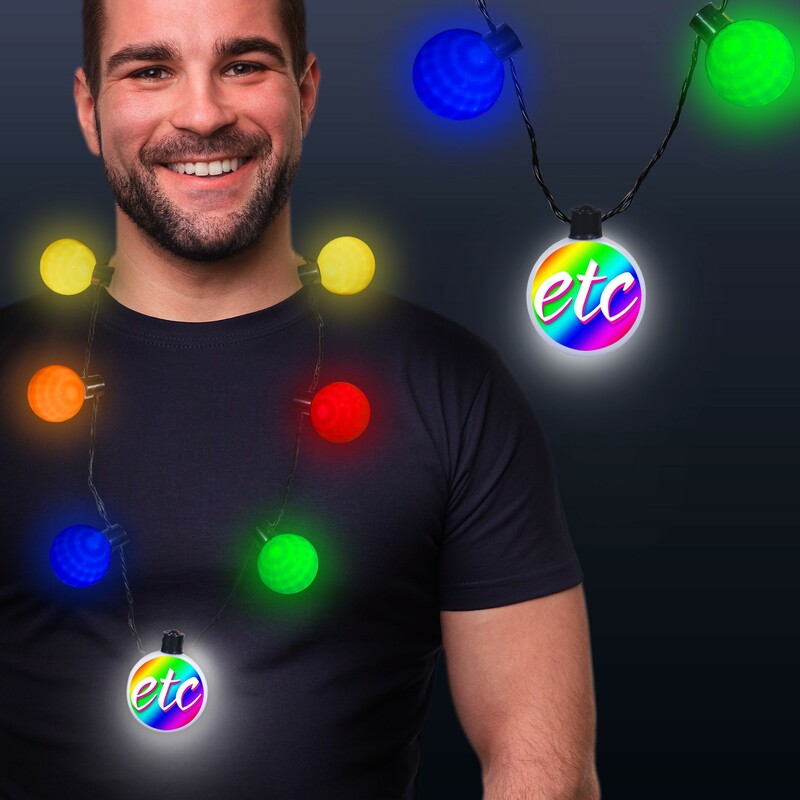 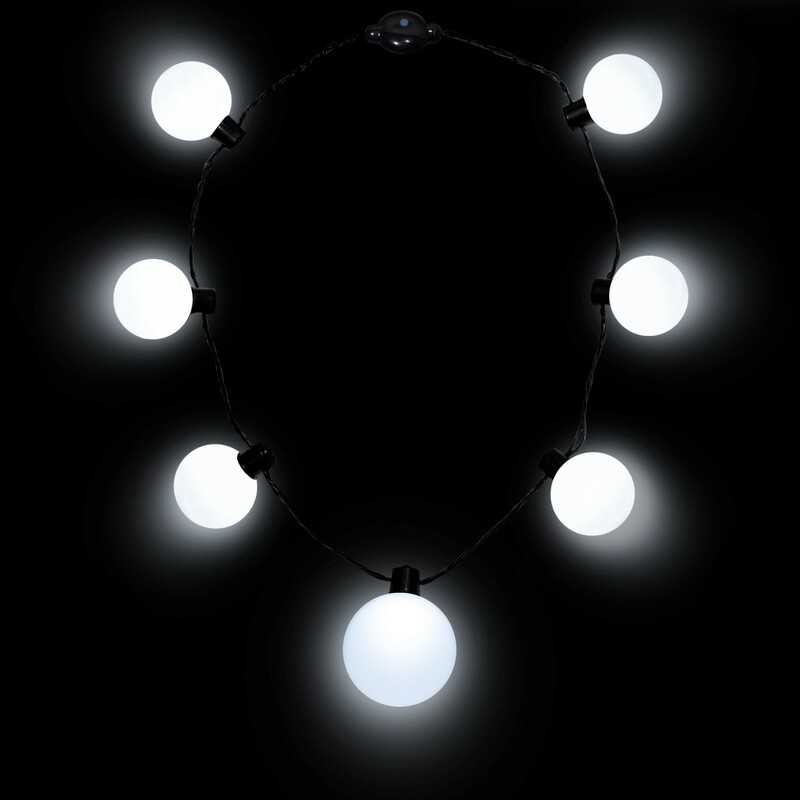 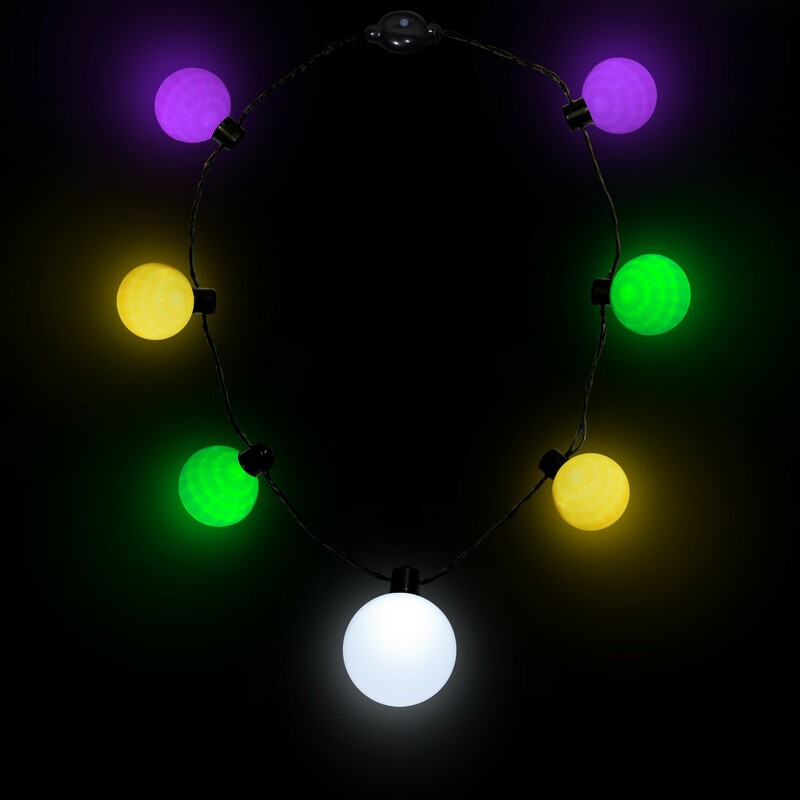 Each plastic LED Ball Necklace features 7 plastic LED Balls and 6 different light settings. 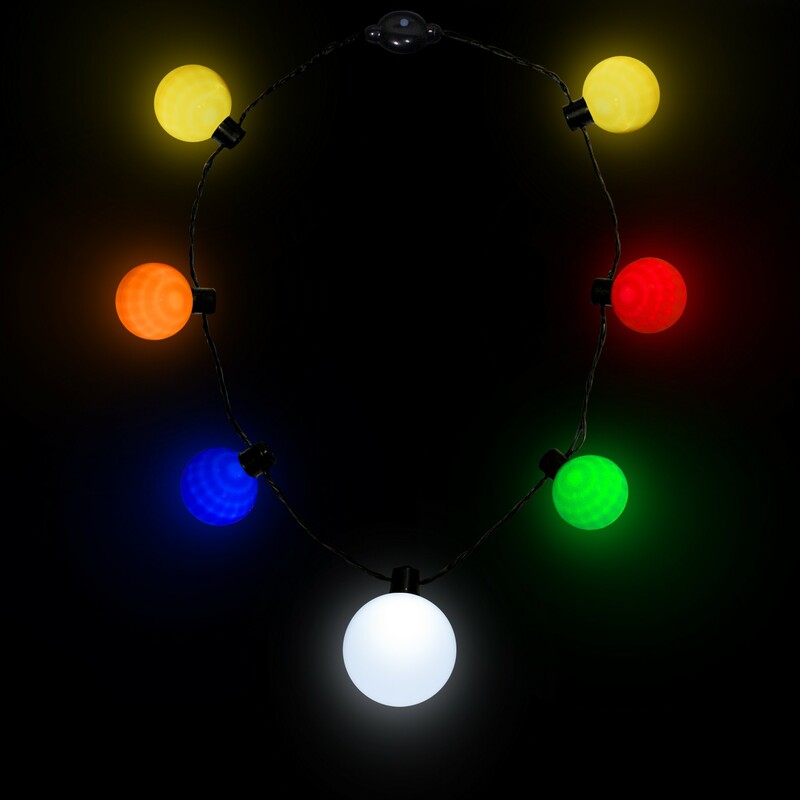 With a click of the on/off button choose from a slow to fast flashing mode, super fast flashing mode, blinking mode, alternate color flashing mode, all colors flashing and steady on. All of our Light Up Ball Necklaces come with 2 - CR2032 batteries included and installed.